Before she became the 19th century’s greatest heroine, before he had written a word of Madame Bovary, Florence Nightingale and Gustave Flaubert traveled down the Nile at the same time. In the imaginative leap taken by award-winning writer Enid Shomer’s The Twelve Rooms of the Nile, the two ignite a passionate friendship marked by intelligence, humor and a ravishing tenderness that will alter both their destinies. 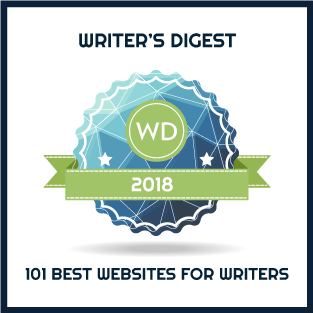 Successful historical fiction transports readers into another place and time through compelling stories, illuminating those times with accurate depictions of people, mores, fashion, society, politics, living conditions, and behaviours. 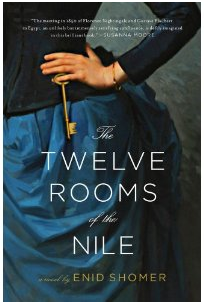 What Enid Shomer’s The Twelve Rooms of the Nile adds to this formula are characters drawn so vividly, so tenderly, so intimately that readers can inhabit their very beings. Gustave Flaubert is a man who prefers prostitutes to the young women of his class. His first novel has failed miserably and he has been persuaded to accompany his friend Max Du Camp on a voyage down the Nile to photograph Egypt’s treasures. Florence Nightingale, born into a rich, upper-class British family, has escaped from her parents’ expectations by accompanying her friends, Selina and Charles Bracebridge, as they too travel through Egypt. Nightingale encounters Flaubert for the first time when she sees Gustave and Max shooting birds on the road from Aswan to Derr. In alternating chapters, Shomer reveals the desires, frustrations and backgrounds of each protagonist while simultaneously revealing the Nile’s history and people. With almost identical itineraries, Gustave and Florence meet on subsequent occasions and, in between conversations, write letters to one another. No subject is taboo. Each revelation deepens their friendship. As the journey unfolds, Shomer draws parallels between Gustave and Florence: consuming concerns over life’s purpose, driving ambition, complex family relationships, strong personalities, failed romantic relationships, secret selves, tortured souls. Gustave declares he has “come to the desert in order to avoid the troubles of existence”. Like a mother describing her children, Shomer gives her characters complex, distinctive voices to reflect gender, personality, needs, upbringing, education, and nationality. Florence has sworn never to marry. Though confined by privilege, she believes God has called her to greater purpose. As someone with feminist leanings, I empathized with Nightingale’s aspirations thwarted by a time of class distinctions and rigid gender restrictions. Florence declares: “I have a mind and wish to use it, which is considered a great failing in a woman.” With Flaubert she can speak her mind, share her thoughts. In turn, he awakens her sexuality and love. Enid Shomer’s poetic skills shine in descriptions of the land, the Nile and the great monuments lining the river’s shore. Her dialogue sparkles. The story is rich in historic detail. The ending captivates. What did I wish for? Less backstory and a crisper flow of dialogue without lengthy, intervening narrative. Less introspection on the parts of Gustave and Florence and more varied pacing from scene to scene, perhaps spiced by a few additional twists and turns. This latter point reflects personal preference for The Twelve Rooms of the Nile is a character-driven rather than plot-driven novel. And the title? Shomer tells us of the sun-god Ra whose “passage through the twelve rooms of the night was, like the crucifixion, the earthly death.” Rivers are often thought of as life-giving creatures. Perhaps the author wants us to think of Nightingale and Flaubert undergoing a process of crucifixion and resurrection as they come together along the grand sweep of the Nile and a tortured crossing of the desert. Along with a richly imagined story, Enid Shomer’s offers new appreciation of Florence Nightingale, Gustave Flaubert and the power of chance encounters. Hope you enjoy … let me know!